Cool isn’t it? I have been looking for a stylus for the longest time and I thought this was the stylus to own. This is not the usual stylus you get. It pairs with the iPad via Bluetooth. It even requires a firmware upgrade. Lol! 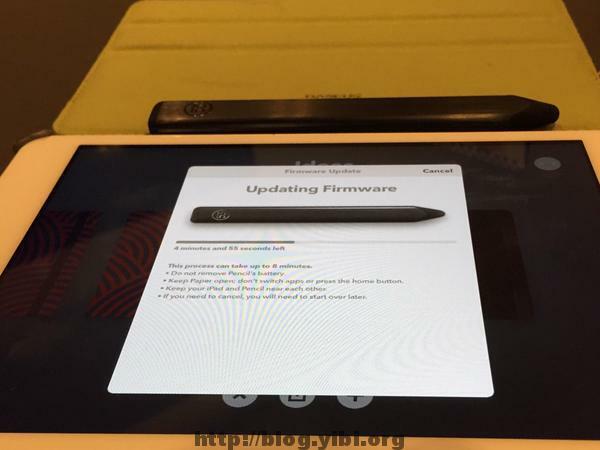 Upgrading the firmware on my stylus. Now on a more serious note. If you have seen the video, the Pencil works together with an app called Paper. Why does the stylus need to pair with the iPad? The reason is because, upon pairing, the key features of the stylus kick in. The Pencil has a pressure sensor built in, so it can detect if you are writing or shading. Turn the Pencil around, and you get an eraser. It’s like using a real pencil. The pairing will also turn on this feature where your hands, fingers or any other thing that touches the screen are ignored. Input will only come from the Pencil. The nice box that Pencil came in. The Pencil that I got is made of graphite. 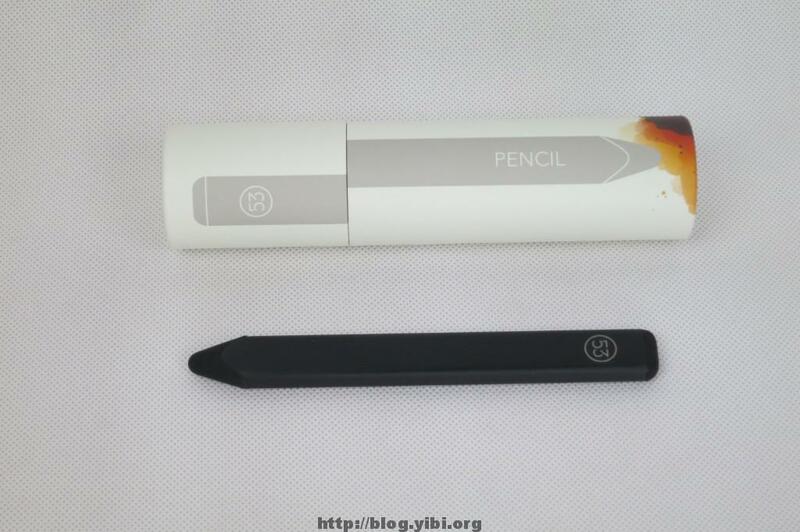 I think there’s weight added so that the user can get more feel of the Pencil. Without the weight, I would imagine that the Pencil would feel like a toy. I use the Pencil with my iPad Mini. In my opinion, it the iPad Mini is a bit too small for sketching and scribbling. It still works, but on a iPad, it would be perfect. Nonetheless, the Pencil is really useful when I need to pen down my thoughts randomly and sketch some diagrams. I use this actively in discussions where I can scribble and sketch. After that I can export everything in PDF and have it circulated via email. For my personal notes, I would export them into Evernote directly from the Paper app. There are some other apps that work with the Pencil. And of course, there are also other stylus that works like the Pencil. I tried Noteshelf with the Pencil and I didn’t really like it. To be fair, it’s not the app. Noteshelf is a very comprehensive application, but somehow using it with Pencil didn’t feel smooth. As of now I think that the Pencil work best with Paper.